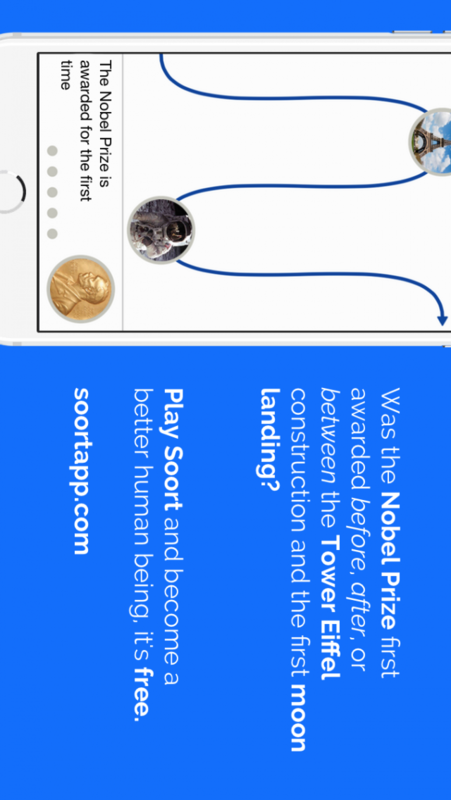 Soort is the app that turns the pain of remembering dates and events in history into a fun game. Easy to learn and hard to master, Soort is an asynchronous turn based video game (such as Ruzzle, Trivia Crack, Draw Something, Zynga's Stuffs With Friends, etc.) whose aim is simply to sort in chronological order the historical events - inventions, discoveries, wars, scientific milestones and so on - that indelibly marked the humankind history.